Last week the administrative team at ECA participated in an exciting learning opportunity. Each member of our team spent an entire day shadowing a different student. Our administrative team consists of me, our three principals, an assistant principal, the Director of Curriculum and Learning, Director of Technology, Director of Libraries, Athletics Director, and our Director of Support Services. Together, we were able to make sure at least two students were shadowed on different days in each educational division, including early childhood, elementary school, middle school, and high school. This project was the result of our participation in a worldwide movement called the Shadow a Student Challenge (http://shadowastudent.org/), which aims to understand your school from a student’s perspective by immersing yourself in the experience of being a student for the day. Personally, I spent a full day with one of our sixth grade students. I found it to be one of the most exhilarating experiences I’ve had as an educator in a long time. In my position, I spend much of my time dealing with the challenges of running a school, seeking solutions to different problems, resolving conflicts, writing reports, planning for the future, and sitting in meetings or leading them. Spending time with the sixth grade helped me to reenergize as I engaged in the outcome of what everything else is all about – our students and their meaningful learning opportunities. As a part of this, I discovered a renewed sense of excitement as I witnessed how fantastic our students are, how polite they are, how much they love learning, and how excited they are about school. 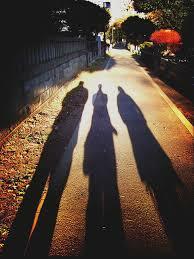 The experience of being a shadow was informative in a number of other ways. First, I have to say I was amazed by how some teachers use technology to support learning. Over the years, I’ve sat in many meetings where we discuss the value of technology, and develop learning standards that incorporate technology. The experience I had through shadowing permitted me to really feel the value technology has in engaging learners and the power it holds it making learning meaningful. In addition, I discovered the value of time as a shadow. I learned how difficult it can be as a student to sit for long periods of time in a class, the importance of breaking time up on a regular basis to keep students interested and engaged, and finally, an understanding of just how much time is dedicated to learning and how much is spilled along the wayside on non-learning activities. Beyond this, I also noticed the important role relationship is between the student and the teacher. In talking to students it was clear where those relationships existed students were much more invested in the learning process. Just as I was discovering new learnings through shadowing, my colleagues were also having similar experiences. At the close of the shadowing period, we all came together to share our experiences. Every person in the room found the experience to be an amazing learning opportunity. What we found remarkable though was not just the learning that took place, but the sense of bonding we each felt with the particular group we spent time with. One member of our team commented that she now felt she needed to follow-up with the kindergarten class she was in as she felt a personal interest in the group. This discussion of the learning we experience led to a further discussion of the things we liked about the experience, questions we had developed in our minds, wishes we had, and ideas we now had. As a group, we identified a number of ideas to take away from this experience. First, it was clear to us just how important it is that learning move away from isolative teaching practices and toward more sharing. It is an absolute must that every student be afforded the same quality learning experience no matter which teacher they are with. This can only happen through collaborative practices like team planning and targeted peer observations. We also came to the conclusion that if we found this experience to be so valuable, then perhaps it needs to be encouraged more as something we do regularly as well as something for others to consider. We further found value in the idea of assisted reflection as a means to learn from our experiences. Finally, and most importantly, we identified the need to listen to our students more. Their thoughts, ideas, and opinions are important. We found them to be valid and realistic, and we rediscovered there is much we can learn from them.